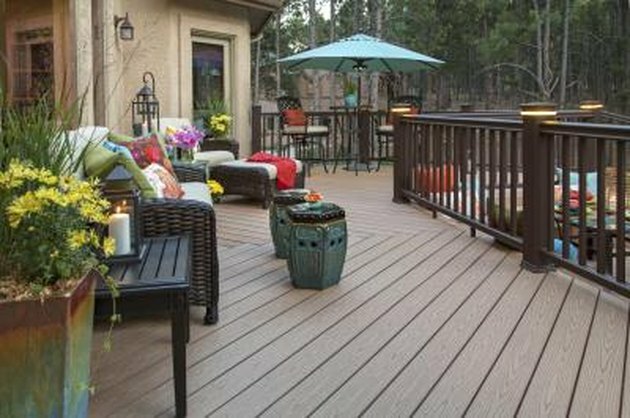 Decks make nice outdoor areas for you to sit or stand and take in some fresh air. 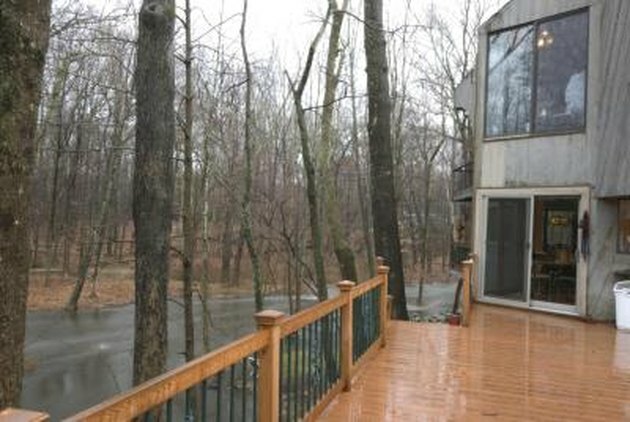 However, decks can sometimes be a lot of work, especially if not properly stained and sealed. Staining and sealing the wood which makes up the flooring of your deck helps protect the wood from ultra violet (UV) radiation, water, dirt, mold and rot. 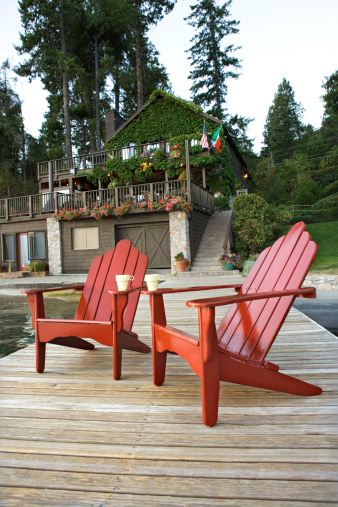 In order to help maintain your deck, use top-of-the-line deck stain sealers. Deck stain sealers which are epoxy fortified help keep your deck from turning gray or green and having to be re-stained or re-sealed. The epoxy fortification contains a chemical which helps deflect some UV light while another chemical in the same stain helps absorb some of it. Non-epoxy fortified sealers which are marketed as "clear" sealers sometimes have amber pigment which changes the color of the wood over time. This is not the case with epoxy fortified sealers which are actually clear and also water based which means that no additional chemicals or mixing is needed in order to activate the epoxy. 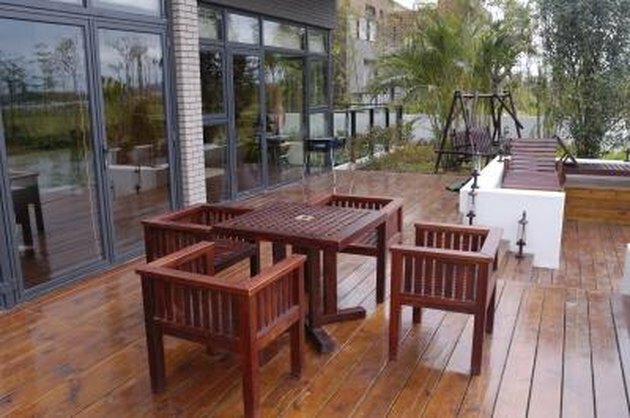 One of the biggest problems afflicting wooden deck flooring is water. Water seeps into the wood and attracts algae and mold. Water also warps, expands and rots wood. Water resistant deck sealers are therefore imperative for keeping a good looking and healthy wooden deck. Most water resistant sealers are oil based. The oil base helps keep water away from the wood but sometimes fails to keep away algae or mildew which then turns the wood green, black or gray. 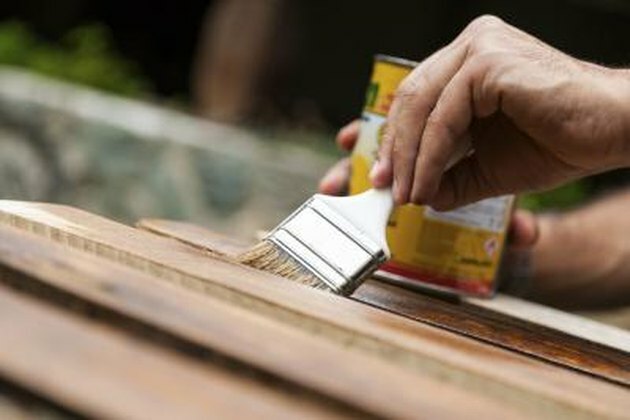 Synthetic water repellent sealers help avoid those issues but oil-based water resistant sealers mixed with regular maintenance also helps keep algae, mildew and mold away from your wood deck as well. UV light from the sun afflicts deck flooring in two ways. One, the temperatures which UV light brings to the wood of your deck makes the wood expand, contract and warp. Second, UV light mixed with water or moisture helps breed bacteria, mold, mildew and algae which changes the color of your deck from wood-colored to gray, black or green. When buying deck stain sealers, make sure that you get a UV resistant sealer which will help avoid these damaging and ugly effects. Some of the most effective UV resistant sealers on the market will also be water resistant, epoxy fortified and environmentally friendly.